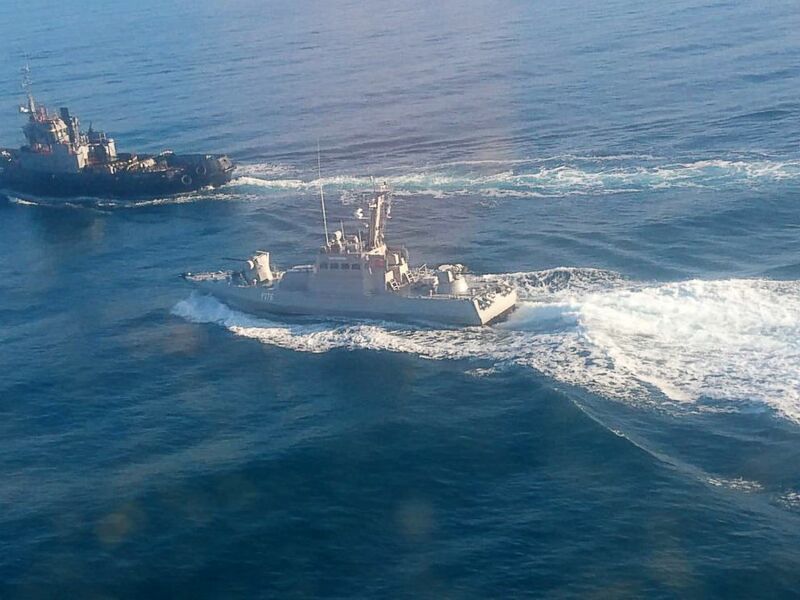 It's the latest turn in a crisis sparked by Russia's seizing Ukrainian ships. It's unclear whether Tsygykal's comments included non-Russian foreigners. Ukraine President Petro Poroshenko said in a statement posted on Twitter that the ban was being implemented in order to prevent the Russian Federation from forming private armies on Ukrainian soil. The announcement likely ratchets up tensions further and could cause significant disruptions for Russians traveling for work or to see family. Ukraine previously has banned flights from Moscow to Kiev and has previously threatened to cut off rail links with Russia. "It is terrifying even to talk about a mirrored response, because an attempt to mirror what is happening in Kyiv could lead to insanity," Maria Zakharova, a foreign ministry spokeswoman, said. "It could simply lead to collapse, nationally speaking." Poroshenko's introduction of martial law has been met with criticism in Ukraine, where some lawmakers and rights campaigners have called it a threat to democracy, alleging it's an effort to help the president ahead of elections in March, which he's currently expected to lose. The ban's announcement followed President Donald Trump's decision to cancel a meeting with Russian President Vladimir Putin Saturday at the G-20 summit in Argentina, with Trump saying that such an interaction would be inappropriate after Russia's detention of the Ukrainian sailors. Poroshenko praised that decision, retweeting what Trump wrote about it and adding "This is how great leaders act!" A Russian government-appointed rights ombudswoman in Crimea, Lyudmila Lubina, told Russian state television on Friday that the three Ukrainian commanders among the 24 captive sailors were being transferred to Moscow. It's unclear if the remaining 21 sailors would join them. A lawyer representing the sailors in Crimea, Jemil Temishev, said on Thursday that he believed the sailors were being transferred to Moscow's Lefortovo jail, one of Russia's most notorious prisons, used for holding suspected spies and political prisoners. A court in Crimea on Wednesday ordered the sailors be held until mid-January in pre-trial detention. They are facing charges of illegally crossing the Russian border, which carries a possible maximum sentence of six years in prison. The incident this week represents a sharp escalation of a simmering dispute between Russia and Ukraine in the waters off Crimea, which Russia seized in 2014. A 2003 treaty gives both countries shared rights over the Kerch Straits, a narrow passage of water that separates Crimea from mainland Russia, through which the Ukrainian ships had sought to pass. Since its annexation of Crimea, however, Russia increasingly has sought to exercise complete control over the straits, the only entry point to the Sea of Azov. Ukraine alleges that's effectively amounted to a blockade of its ports in that sea, with Russia frequently stopping and searching its ships. 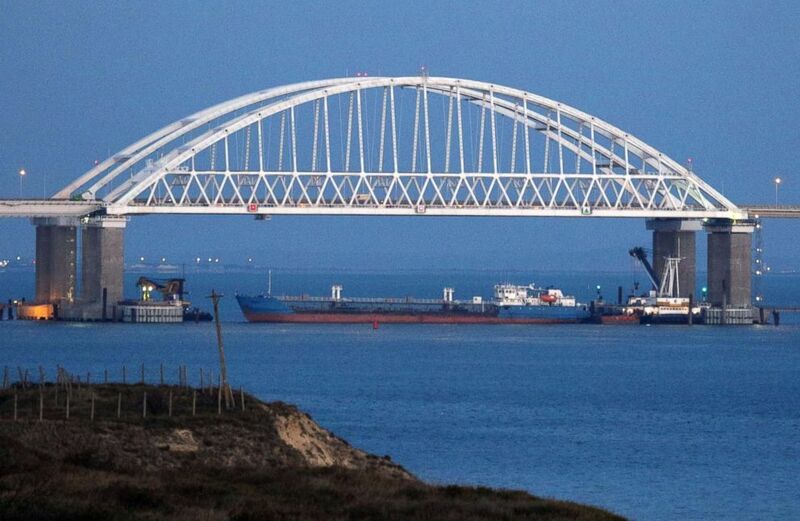 Following Sunday's incident, Ukraine has accused Russia of blocking over 30 ships trying to reach Ukrainian ports in the Sea of Azov. The United States and European countries have condemned the Russian actions and called on Moscow to respect freedom of navigation and for both sides to deescalate the situation.